The new Rafael Nadal - What has Rafa done to improve his game? I have just witnessed the New Rafael Nadal beat Stefanos Tsitsipas in Australian Open in straight sets: 6-2 6-4 6-0. Was Tsitsipas bad? No. Rafa was amazing. And not in his old, ball-chasing-never-give-up way, but by being aggressive and punishing every short ball. Before the Australian Open there was talk about an improved service motion that Rafa has worked on together with his coach Carlos Moya. You can read more about Rafa’s new serve in this Telegraph article. According to the Telegraph: “Overall this tournament, Nadal is making 74 percent of his first serves and winning 80 percent of those points. He is also averaging 6.8 aces per match, which is comfortably more than double his career figure of 2.9 and last year’s 2.7.” Quite an impressive feat of the new Rafael Nadal. 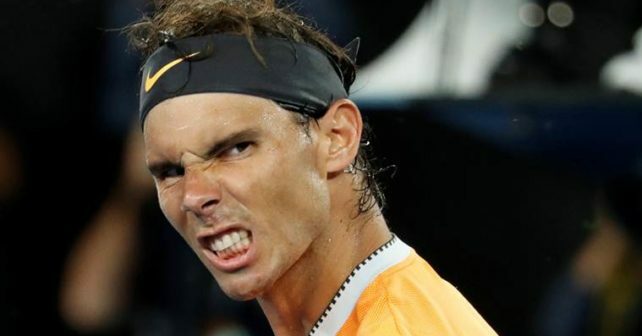 If I would have bet in a sportsbook or at an online casino, there is no chance I would have put my money on Rafael Nadal ahead of the Australian Open 2019. He pulled out of Brisbane due to injury concerns, he has had a really poor hard court record (at least health-wise) where he has only finished one out of the 18 last hard court tournaments. How could you put him as a favorite to win the tournament? Suddenly, the new Rafael Nadal is in the final after not having dropped a set or even played a long match. Crazy. The new Rafael Nadal has taken a page out of Federer’s playbook. He has decided to shorten the points. He has decided not to play each point as his last. And he has decided to be in command of the rallies. A #tenyearchallenge for Rafael Nadal’s style would be in stark contrast to the new Rafael Nadal. He has moved closer to the baseline, he is hitting more aggressively off of both wings (the backhand used to be mostly a defensive weapon, but now he is stepping in and taking the ball earlier), and his serve his much improved. The results are so far impressive. The reasoning is simple. Rafael Nadal loves tennis, but his body doesn’t. It breaks down on faster surfaces. The only way he can sustain his physique and good results on other surfaces than clay is to shorten the points, play more aggressively and dare to go for more. He already has plenty of built-in-margins thanks to his spin generation. So what he is trying to do is to hit a good serve, get a short return, and attack with his forehand. He has been able to execute this strategy brilliantly and is now ready for the final with plenty of energy left in the tank. The New Rafael Nadal – Can he beat Djokovic? 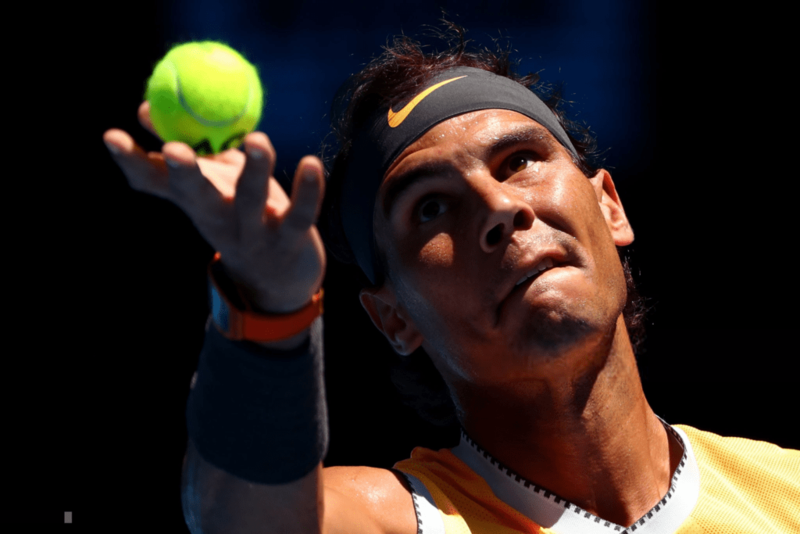 The new Rafael Nadal has not lost a set so far in the Australian Open. But is he ready to take on the world number one Novak Djokovic on a hard court? Well, if he can keep playing the way he has, he has a good chance at beating Novak. The question is how well Novak can return. Usually, he does this very well, so then it will be difficult for Rafa to get the upper hand in the rallies, which then will boil down to the usual baseline battles between them. From what I’ve seen so far I would say the match is 50-50. Nadal has been tremendous and Djokovic has been good, but not his best. On clay, Rafa would win 80-20, but Djokovic rules this surface and will be very tough to beat. 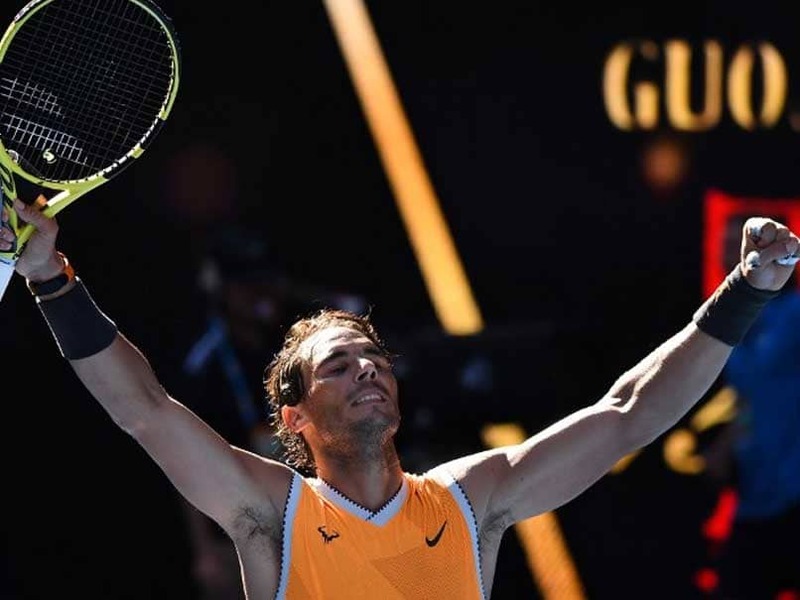 Can the new Rafael Nadal win his second Australian Open (it was ten years since his last one in 2009)? And if so, that opens up the question if he can reach Roger Federer in terms of grand slam titles. Rafa is on 17, Roger has 20. If Rafa wins Australian Open, he goes in as the heavy favorite in the French Open. If he wins his twelfth title in Paris, he is ONE title short of equalling Federer’s grand slam record. And if Rafa keeps playing more aggressively and in that way puts less stress on his body, why wouldn’t he be a massive threat to that record? Interesting to hear your thoughts here! Who wins the final and can Rafa reach Roger? Please comment below. AO changed their balls this year, to Dunlop Fort version. It is a bigger, softer, lower jumping and noticeably slower ball compared to the outgoing Wilson AO balls. Gameplay has changed correspondingly. A lot of long rallies, good returning and defending, slowballing etc. Since the get go of the AO it was kind of obvious that defending styles get a BIG boost, compared to attacking styles. Personally I am not a fan, and I would easily foresee a change next year already, with the same sponsor – Dunlop. Probably reskinned Slazenger Wimbledon (made by Dunlop) balls or similar, although that is also a softer, slower control ball, but not that soft and slow as a Dunlop Fort. Opinions? Omg. I knew Pouille didn’t have a chance, but holy crap man. This should be another classic final. The BULLdozer vs The Steamroller!! So much talk about Nadal being aggressive, or not aggressive. The guy really hates to miss, maybe that’s his “problem”. In my opinion I think he lost a couple of important finals due to the tactics “not to miss a shot”. Looking forward to the match! !